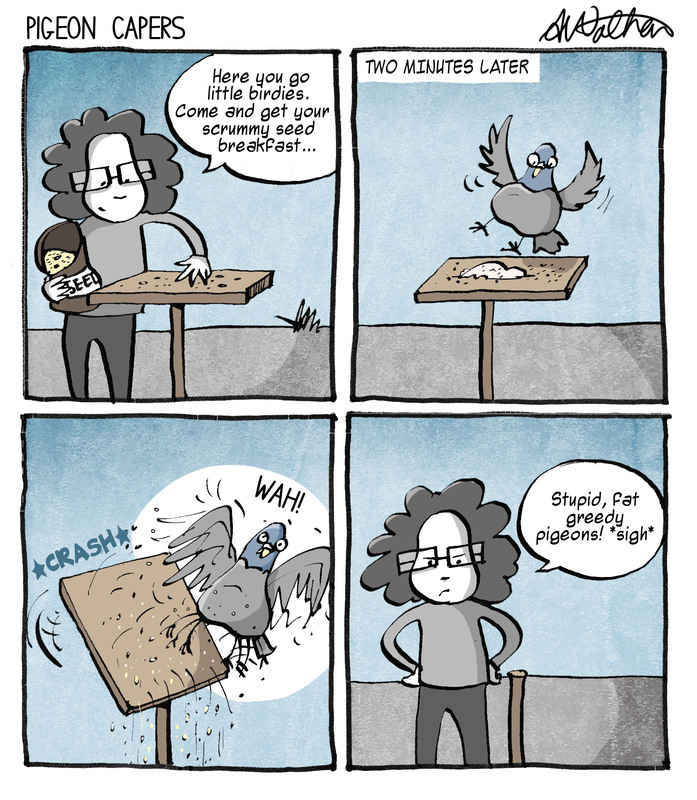 Pigeons frustrate the heck out of me! This entry was posted in Animals, General, Miscellaneous and tagged birds, cartoon, comic, funny, garden, humour, pigeons by bighair63. Bookmark the permalink.